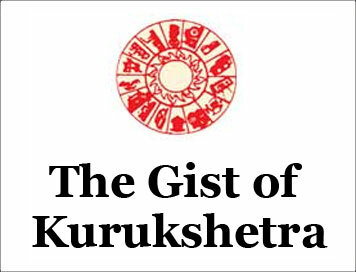 (The Gist of Kurukshetra) GOVERNMENT INITIATIVES FOR YOUTH IN NORTH-EAST AND J&K [JANUARY-2019] | IAS EXAM PORTAL - India's Largest Community for UPSC Exam Aspirants. Government has launched scores of initiatives in the field of education and youth belonging to far flung and remote regions. On one hand, government has expedited the implementation of already available existing schemes in these regions on priority; on the other hand, several innovative measures and interventions have been introduced to meet the specific needs. Ministry of Development of North Eastern Region is coordinating central government department’s initiatives for the North East. Tourism – Tour operators, hotels, home stay, taxis to places of attraction etc. Additionally, Department of North East region along with North Eastern Development Finance Corporation Ltd is also setting up a VC fund worth Rs 100 cr to promote startups in the North-Eastern States. Early and growth stage startups in the field of IT, ITES, Food Processing, Healthcare, Tourism, Retail, Aggregation of services would get boost with this fund. Many educational reforms through SSA and RUSA have also been introduced. DONER Ministry is also offering subsidy incentives in NER for industrial and other units generating employment. To implement the same, DONER’s assistance to North Eastern Development Finance Corporation will have a component of higher interest subsidy for such units which give more employment. Government of India and the state government have been working together to skill youth and create livelihood opportunities for them. Few of the popular measures are enlisted: UDAAN: The special industry initiative for J&K is funded by Ministry of Home Affairs and implemented by National Skill Development Corporation. It aims to provide corporate exposure to the youth as well as provide corporate India with the talent available in the state. The scheme has received overwhelming response and is making a considerable impact on ground. Sadbhavna which is run by the Army. Under Sadbhavna, Army runs several important programmes for the youth of Jammu and Kashmir; Army Goodwill Schools which is an education initiative works to provide middle and high school level education to over one lakh students. Presently, over 14,000 students are undergoing schooling in various army run schools in the state and over 1,000 children from the state are studying in institutions outside the state through scholarship programs facilitated by the army. Army also runs National integration Tour under Sadbhavna where students get to visit other states of the country and get a first hand view of the culture of their fellow citizens. They come back motivated to become productive citizens of the country and actively leverage the growth trajectory for personal development. So far, more than 5000 people have benefited out of the 200 tours conducted under this scheme. 2017. Achieving a success rate of 78 percent is the result of army’s Kashmir Super 40 being at par with the best IIT coaching centers in the country. Himayat: Run under Ministry of Rural Development, Government of India’s Deen Dayal Upadhyay Gramin kaushal yojana, the scheme endeavors to train 1.24 lakh local youth of Jammu and Kashmir in job intensive vocational courses. (The author is currently Executive Head at Rambhau Mhalgi Prabodhini, a United Nations recognized unique training and research institute for elected representative and socio-political activists.